Independent bar and restaurant group, Drake & Morgan, has launched a new all-day spring/ summer menu that includes a range of salads, created in collaboration with London-based Kiwi chef, restaurateur and food writer, Peter Gordon. 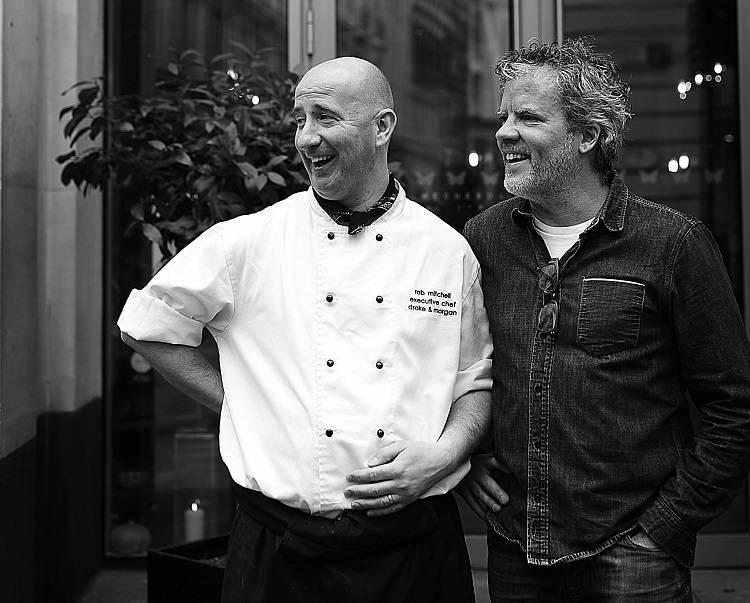 Often described as the ‘godfather of fusion,’ Peter Gordon has created five salads exclusively for the 22-strong Group with venues in London, Manchester and Edinburgh. Inspired by his book, ‘Savour – Salads For All Seasons,’ they perfect showcase Peter’s signature style; fusing interesting global ingredients and flavours to create inventive, colourful dishes. The five salads are: baby beetroot with broad beans, goat’s curd and hazelnuts; kohlrabi with watermelon, tofu, mangetout and candied walnuts; cherry tomatoes with orange, fennel, macadamia nuts and coriander; fregola with asparagus, shiitake mushrooms and walnuts; and roast cauliflower with seeds, olives, broad beans, peas and olive tapenade. In addition to Peter’s salads, Drake & Morgan has introduced more vegan/vegetarian options on its all-day and breakfast menus with new dishes including a flat mushroom burger with smoked vegan mozzarella, tomato and beetroot hummus; pearl barley risotto, watercress, asparagus and vegan pecorino; and avocado hummus on toasted gluten-free flat bread with dukkah and pomegranate. Another new feature for spring/summer is the introduction of two afternoon teas across the estate. The cocktail list has also had an extensive, botanical makeover for spring with creations by Drake & Morgan mixologist Fabrizio Cioffi of Edinburgh’s The Refinery, in partnership with London Essence and Chris Edwards of cocktail consultancy ‘Salts of the Earth’. The list features classic and experimental cocktails characterised by the use of the herbs, spices, berries and vegetables found in an English country garden. Innovative, bespoke cocktails include the Yoga Mat & Cha, a blend of spit-roasted pineapple gin by the Boutique-y Gin Company, yoghurt, almond milk, honey green teak, baking soda, lemon, sage and hazelnut and the Grassland with Ketel One vodka, absinthe, apple juice, lemon, dandelion and burdock bitters, grapefruit and rosemary tonic. An extended range of zero proof concoctions have also been introduced, many of which are super skinny coming in at less than 50 calories. Whilst the new menu puts a spotlight on veg, there are plenty of small plates, sharing boards, burgers and mains featuring impeccably sourced meat, fish and seafood.